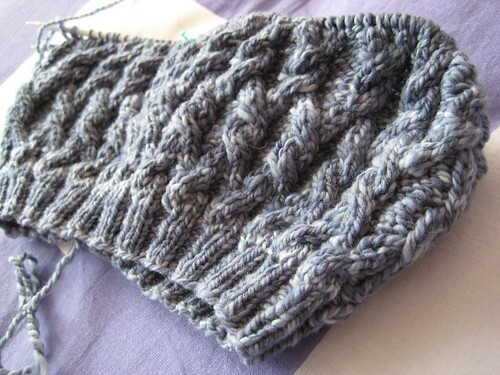 Let’s see – deadline knitting? Check. 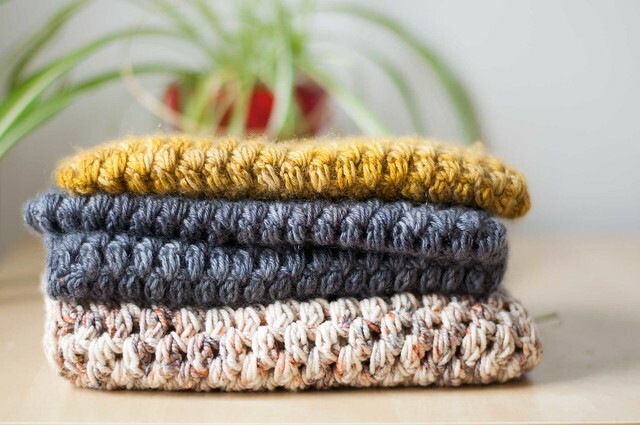 Half-finished sweaters? Check. New projects left and right? Check and check. I started this piece a few weeks ago as some mindless back-and-forth for knit night, and haven’t really worked on it since. It’s a simple top-down raglan in some coned cashmere that I bought from Colourmart on ebay ages ago. Then there’s this, which I thought was just really cute and have wanted to make for a long while. 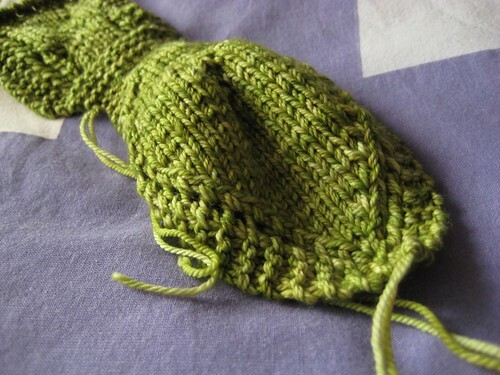 Teva Durham’s Leaf Cravat, in Handmaiden Casbah (held double) on 4 mm needles. Is it still startitis if you actually finish the thing really quick? I started Gretel from Ysolda on Thursday, and finished it up on Friday. FO photos soon! I love the yarn you used to start the cashmere sweater! Great color. Cashmere and tweed?! Looks delish. wow I love that cashmere yarn. I have already gone over to colourmart to look at the selection. The Gretel is coming out fabulous as well. Also, I just knit up Gretel myself, and I loved how fast it went. Can’t wait to see your finished version. I don’t think it’s statitis if you cast on quickly but finish the thing quickly, too. Mmm…that tweedy cashmere is great! 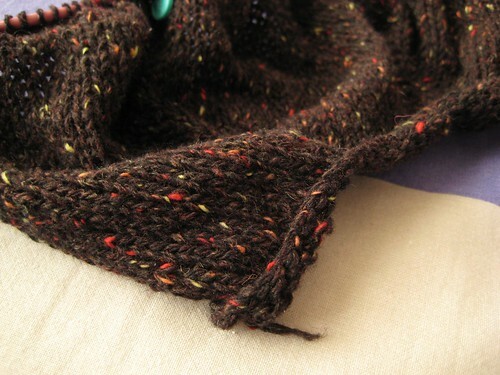 I’ll be knitting another Gretel when I finish some gift knitting. What yarn is that – malabrigo? Love the cashmere your using. Did you wash the cashmere first? Or are you using it from the cone unwashed? I ask because I bought some recently from Colourmart and haven’t used it yet. Not sure if I should wash it before or after. Is this your first time using it ? I will be waiting right here to see the finished products!! I love the blue (or gray) of Gretel! Ohhh Gretel is next in line for me! The only reason it doesn’t currently reside happily on my head is because I really owe Marc his finished Christmas sweater and have promised to cast-on nothing until it’s done. Cashmere AND tweed – heaven! I also suffer badly from startitis….